In this HUGE guide we’ve rounded up the cheapest and most trustworthy places to buy tickets for Florida’s theme parks. We’ve got cheap Disney World tickets as well as tickets for Universal, Legoland, SeaWorld, Busch Gardens and more. PLUS! Over 30 tips on holiday budgeting, planning a family-friendly itinerary and getting around the sunshine state – including cheap Florida flights and hotels. Budget – how much will it all cost? Won’t I get cheaper tickets if I buy a package holiday? When to take a family Florida holiday? Most people choose a Florida holiday because they want to visit the sunshine state’s famous theme parks. Though with the Everglades national park, vibrant Miami and miles of stunning beaches, there are plenty of other reasons to visit Florida. Here is a summary of what the top theme parks offer. 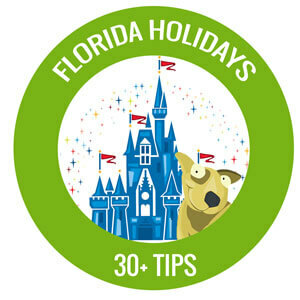 Use this to plan your family-friendly Florida itinerary and decide what else you want to do. Walt Disney World – “Where dreams come true” – is, for many, the number one reason to choose a Florida holiday. When we think of Disney World we think of the iconic Magic Kingdom castle and Mickey Mouse and his friends. But there’s more to Disney World than that – a lot more. Disney World is actually SIX different attractions set on a 43-square mile estate, situated on the fringes of Orlando city. The estate includes 35 hotels, two golf courses and a shopping district. As you can imagine, there’s something for everyone. Walt Disney set out to create a resort where he could have as much fun as his kids. Most famous is Magic Kingdom, the fairytale park where you’ll spot the legendary Disney characters, watch the fireworks above Cinderella’s castle and see the musical parades. It’s designed like a wheel, with the castle at the centre and six themed ‘lands’ circled around it: Adventureland, Frontierland, Liberty Square, Fantasyland, Tomorrowland and Main Street USA. It’s here you’ll find the Space Mountain rollercoaster and the famous ‘It’s A Small World’ ride. There’s also attractions themed around Disney favourites like Toy Story, The Little Mermaid and Pirates of the Caribbean. A futuristic park dedicated to space, technology and the natural world. There are exhibitions and pavilions to explore – including a huge replica Japanese pagoda. Here you will find many sea life-related attractions, including a Nemo adventure, as well as the Lion King-inspired Circle of Life. The theme here is ‘movie magic’, with a Star Wars adventure, white-knuckle Great Movie Ride and a live action Indianna Jones show. There’s a Frozen singalong and extreme stunt show. The largest park, Animal Kingdom is a zoo with a strong emphasis on animal conservation and some classic character themes (hello Rafiki!) thrown in. Here you’ll see elephants, gorillas, rhinos, giraffes, jungle birds and exoctic snakes to name a few. One of TWO Disney World waterparks (remember to take your swimming costume) the theme of Blizzard Beach is a ski resort that has melted, creating steep watery slopes and runaway rapids. There’s even a ‘snow’ white beach you can sunbathe on. Disney’s other water park is mostly a gentler affair ideal for younger families, with its wave pools and lazy river. It does have ‘Humunga Kowabunga’ however – a 200 foot near-vertical drop in the dark. So that’s Disney World. You could easily spend a whole day at each of these parks. It’s tiring visiting more than one in a day, though some people visit a water park in the morning (the water parks close early in the evening) then move on to Epcot or the Magic Kingdom for the rest of the day. Disney tickets are sold to UK buyers as one inclusive entry. You pay one fee and access all six attractions for a select number of days. You cannot buy separate tickets for each one from the official Walt Disney World UK site. More on this below. 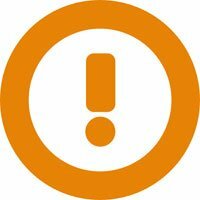 Make sure you check your favourite parks and rides are going to be open. Disney World is so big, there is always some scheduled maintenance going on. The waterparks both close each season at different times for refurbishment. This site has a list. The second-largest resort in this region is Universal Orlando, set a 10 minute ride from Disney World in the city of Orlando. This is the home of Universal Studios, The Wizarding World of Harry Potter and the new for 2017, Volcano Bay water park. The resort is divided into three theme parks which can be visited separately or as part of a package. Attractions here include TRANSFORMERS: The Ride-3D, Despicable Me Minion Mayhem, The Simpsons Ride, Shrek 4-D, MEN IN BLACK Alien Attack, Terminator 2: 3-D, E.T. Adventure, Curious George Goes To Town, The Blues Brothers Show and Universal Orlando’s Horror Make-Up Show. The Wizarding World of Harry Potter is split between two theme parks; at Universal Studios you’ll find Diagon Alley. Islands of Adventure has more thrill rides than Universal Studios. Here you’ll find The Wizarding World of Harry Potter – Hogsmeade which includes: Dragon Challenge, a high-speed coaster where you’ll ride one of two fire breathers; Flight of the Hippogriff, a family-friendly coaster designed for younger riders; and Harry Potter and the Forbidden Journey, a state-of-the-art adventure. Other attractions include The Amazing Adventures of Spider-Man, The Incredible Hulk Coaster and the Jurassic Park Discovery Center. 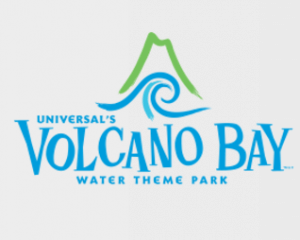 Universal’s Volcano Bay is the all-new water theme park like none other. Here you’ll find a full day’s worth of fun set against the backdrop of breathtakingly lush views. With 18 attractions, you’ll be able to experience daring water adventures or peaceful relaxation. Experience whitewater torrents, drift down a winding river or relax in your own waterside cabana. In typical American style, SeaWorld also is not just one park – it’s four. And as with Universal Orlando you can access each one separately or as a multi-day package. SeaWorld Orlando Meet and watch marine animals and jump into their world on exciting rides, attractions and shows. Discovery Cove is a coral reef-style park where guests get in the water to snorkel with tropical fish and swim with dolphins. Aquatica is a splash water park full of big slides, speedy splashdowns and sandy shores. And Busch Gardens is a 300 acre safari park with thrill rides, based an hour away from Orlando in Tampa. Legoland Florida Resort is designed for kids. The 150-acre interactive theme park offers more than 50 rides, shows and attractions, restaurants, shopping, a botanical garden and the Legoland Water Park. The Legoland Hotel is located right near the park entrance. Located in Winter Haven, 45 minutes from Orlando and Tampa. If your kids are creative and into drawing they’ll love the Crayola Experience. It has 26 hands-on attractions spread over 70,000 square feet. For a cheap alternative to the blockbuster Florida theme parks, Fun Spot is a popular local attraction with rollercoasters, go-karts and bumper boats. It’s gets 4.5 stars on TripAdvisor. This isn’t all you can do in the Orlando area. From basketball at the Amway Centre to Ripley’s Believe It Or Not, zip wires at GatorLand to the theatre of the Blue Man Group. Every kind of attraction you can think of can be found if you want to expand your itinerary beyond the big names of Disney and Universal. Remember under 3s go free at most of the top attractions. But adults are classified from age 10 and up and children’s tickets are not a lot cheaper than adult prices. It’s the way things go in the theme park world! For multiple prices and cheap ticket options on all the top theme parks, see ‘Buying Theme Park Tickets’ below. 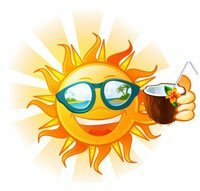 Also see below (‘Getting There’) for full details on flights, hotels, package holidays and car hire – these are all expenses you will need to factor into your Florida trip. A one day entry to Universal Studios OR Universal’s Island of Adventure costs around £124 (aged 10+) and £83 (aged 3–9) in advance. A one day entry to Volcano Bay costs around £50 (aged 10+) and £47 (aged 3-9) in advance. There are so many different ticket options as well as attractions to choose from, it’s hard to give a budget estimate. 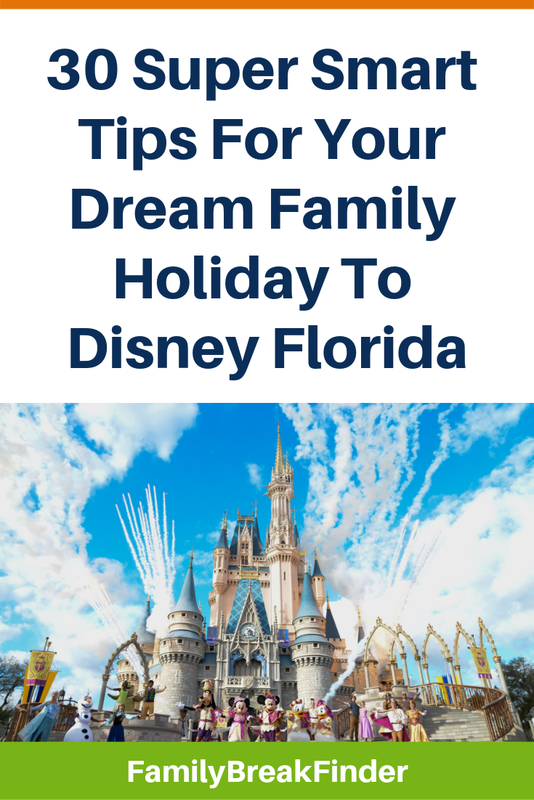 However, if you are a family of four looking to spend a week in Florida and at least two days at theme parks, you can expect to spend a minimum of £800 and as much as £1000+ on theme park tickets for the whole family. You may decide to book a package holiday that includes flights, hotel, food and even airport transfers. But note that most package holidays advertised do not include discounted theme park tickets – at least not for Disney. Some travel agents sell package holidays with other park tickets included, like Thomas Cook’s Universal Orlando range. As well as flights, hotel, car hire and spending money for food, there are some unexpected costs that could turn any cheap Florida holiday into a more expensive trip. See our cheap car hire tips for avoiding extra charges on vehicle rentals. A fun and cheap Disney souvenir idea for your kids is an autograph book. You can buy a blank one on eBay for around a fiver – some are even personalised. Then take it around the Magic Kingdom grabbing autographs from Mickey, Goofy and the gang. It’s a real buzz spotting the characters and it gives kids an excuse to walk up to them. Florida is lucky enough to enjoy relatively good weather all year round, barring the summer’s thunderstorms. 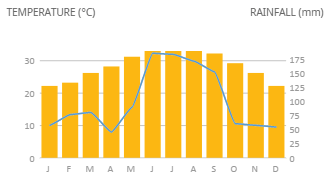 Its coldest months are December to February when it averages 16 degrees, but only receives 6 mm rainfall per month. Its warmest months are June to September when it reaches highs of 33 degrees, but also receives three times more rain than in the cold months. Frequent visitors to Florida tend to agree that April–May and October–November are ideal: less humid than the summer, yet warm and fairly dry. Avoid busy US holidays if you can, including Thanksgiving in November and Christmas. The hot summer months are the theme park’s busiest times. This is when the US schools are out and families are ‘on vacation’ – roads will be busy and theme park queues long. And it goes without saying that flights from the UK will be cheaper outside of school holiday times. Worth noting: if you’ve got a young toddler or baby in your family, you won’t need to pay for them at the majority of theme parks. Once you’ve planned your Florida holiday itinerary it’s time to buy your cheap tickets. Tickets for most of the parks are either cheaper in advance or the same as on the day. It is never cheaper to buy tickets on the gate. Here are our top places to try for cheap Disney tickets, multi-park ticket bundles, Universal tickets and other deals. The cheapest 7, 14 and 21 day ‘Ultimate’ tickets we found for Walt Disney World are through the official site. All travel agents we saw were adding at least a few pounds on top of the prices available at Walt Disney World UK. Note that UK tourists are forced to this site rather the US site, and UK retailers – including travel agents – are only given these Ultimate tickets to sell to Brits. That said, these Ultimate tickets give the kind of flexibility most UK Disney-goers are looking for. If you’re looking for other cheap Disney ticket options, Undercover Tourist is a strong alternative with good reviews. This US-based ticket retailer will send you e-tickets or post physical tickets for free (allow 12 working days). They offer the US-oriented ‘Magic Your Way’ tickets with options of 1-10 days, single park or park bundles and FastPass+ which allows you to reserve a turn on certain rides. So you can find something closer to your exact needs. However, we noticed that the local equivalent to the UK official site’s Ultimate ticket (a 7 day Magic Your Way ticket) is actually about £12 more expensive – proving the Walt Disney World UK prices are good value. This was the best option we found for UK holidaymakers looking for cheap Universal Orlando tickets. The two-park entry tickets were around £10 cheaper than on the official site (see below). Plus with FloridaTix you get lots of bonuses: FREE Florida Mall vouchers to save you $$$s – for visits up until 31st Dec 2017, money off car hire and free postage. There are no credit card fees, the site has a price-match promise and reviews are good. Using the official UK site you can buy 2017 tickets giving access to the three Universal parks for £232 (over 10s) and £224 (3–9s). These give unlimited entry within a 14 day period. Tickets on the UK site are around the same price when you include the US site’s added tax at checkout. UK visitors can choose from two-park tickets (SeaWorld Orlando + Aquatica or Busch Gardens) from £107 (over 10s) or £103 (3–9s) on the official UK site. Discovery Cove, where you can swim with dolphins, costs between £50-150 extra and cannot be booked separately anywhere. However, over on the US site tickets are cheaper: a two park ticket can currently be bought for around £90 including tax. ALSO: Check out Groupon offers for SeaWorld tickets – they often have discounts. Advance basic one day tickets at Official Florida Legoland cost around £60 for over 13s and £55 for 3–12s. Other ticket options are available, including water park entry and flexible dates. Legoland is run by Merlin Entertainments, which also owns Madame Tussauds, the Orlando Eye and Sealife aquariums, so there are bundle deals available. A tax is added to your basket at checkout. When we checked, Attraction Tickets Direct had the cheapest Legoland Florida tickets online. They came in £55 (over 13s) or £51 (3–12s) for the one day ticket. Postage was free and a collectable free gift is offered, although they don’t state what it is. The site is trustworthy according to reviews on Feefo, where it scores over 93% from 15,000 customers. It’s likely that if you’re going all the way to Florida for your holiday you’ll want to make the most of what it has to offer. Disney is the magical draw, but Universal Orlando is a must-see for many and then there’s the immersive delights of SeaWorld with its stunning whales and dolphins. Here are our top agents for booking cheap park ticket bundles that give you access to more than one company’s attractions. FloridaTix has some great bundles which work out cheaper than buying directly from the theme parks. For example its Disney World + Universal Orlando + Seaworld combo gives access to all parks – unlimited over 14 days and Fastpass+ included – for £689/£658 in 2017. What we like about FloridaTix is the bunch of extras it throws in, with lots of money-saving vouchers. They also have good reviews. A UK based site with some lively deals. Spend over £500 here and you’ll get a ‘Kids eat free’ card valid at 120+ Orlando restaurants. It has a monster deal for 2017: access to all Disney, Universal AND SeaWorld* parks – unlimited for 14 days – for £651/£622. They are reputable, with 9.7 on TrustPilot from over 1000 reviews. Offering strong competition to other agents, Undercover Tourist has some great tools as well as great bundles – like the crowd calendar that tells you how busy it is at each park during the year. It’s worth checking their Today’s Deals where you can often find discounts on Flextickets (Universal + SeaWorld) and Discovery Cove packages. US site has Maple Leaf Tickets has all the Magic Your Way Disney ticket options and the Flexticket (Universal + SeaWorld) but it also has other attractions like Legoland, Ripley’s, Cirque du Soleil and GatorLand. Worth a look. While it doesn’t offer bundles, TripAdvisor is a great tool for checking out the most popular attractions according to reviews and THEN clicking through to book directly with TripAdvisor’s Viator site. Watch out though as some offers are only for US residents. Their FlexTickets are not as cheap as Undercover Tourist’s but they change their offers regularly so see what’s on offer. We found a 7 day Walt Disney World all-parks ticket that had been upgraded to 14 days at the original price. We’ve only included cheap tickets from trusted sites in this guide. But if you think you’ve found a better deal elsewhere make sure you check the firm’s credibility. There are lots of ticket retailers out there with flashy websites and names that sound familiar. And plenty of them are sharks. Look for instance at the reviews for Theme Park Tickets Direct, a site that ripped offed dozens of families who’d saved hard for the trip of a lifetime. Make sure you cut-and-paste the site name into Google and add ‘reviews’ to see what others have said. 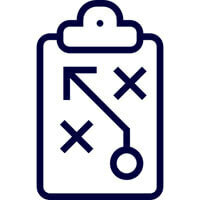 Look for Feefo or TrustPilot ratings, make sure you visit the actual review site rather than trust the use of a logo, and look for firms with over 100 reviews. If you think you’ll go back to Orlando within a year, check out the annual passes offered by each attraction. Though be aware they are not automatically a better option. Walt Disney World Annual Passes – which cannot be bought online – are worth the outlay if you are going into the theme parks for more than 11 days in a one year period. Or you may feel they are worth the money because of the added benefits, like hotel discounts and free parking. 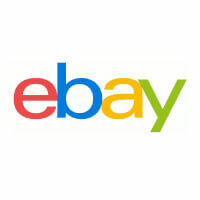 You will find cheap theme park tickets for sale on eBay. Be aware that many of the parks frown upon unofficial ticket sales and take measures to prevent the black market, which is driven mostly by Florida locals who can obtain tickets at better prices than others. If you do choose to buy through eBay bear in mind that you might not discover your ticket is valid until you use it at the ticket gate, where parks – including Disney – have a finger-print system. So look at sellers’ reviews and read the description of what you’re buying very carefully. If you’re buying by credit card, which is often a good idea as it means you have Section 75 consumer protection, look out for sites’ extra booking fee charges. And if you’re paying in dollars, be aware that most banks will add an exchange fee (around 3%) to the transaction. Look for sites like Undercover Tourist that offer you the chance to pay in dollars or sterling. You’ve got your tickets. What else do you need? Many Brits choose a package holiday for Florida. They can be an economical choice. Check out our comprehensive guide to package holidays before you book anywhere – it’s full of tips, moneysaving ideas and has all the best tour operators listed. But if you want to dive in now and check prices, our top selections would be Thomas Cook, Virgin Holidays .Or use Expedia to create your own package. If you already have accommodation sorted or you prefer to book your travel independently, you can save money on airfares by reading our guide to flights. It’s full of clever ways to avoid extra costs. 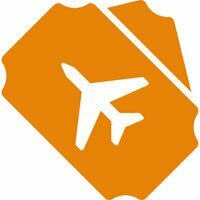 Skyscanner is a good starting point for finding cheap flights. Flights from the UK start at around £350 per person. We also found good indirect prices from the UK to Orlando with KLM, United and Lufthansa via Momondo. The US hotels market is fast-paced and highly competitive: there’s a lot of room capacity in Orlando and good deals to be had. Orlando city – only 20 miles from Disney – hosts many conventions as has a high quality selection of hotels. You may find something offering more class for your money compared to the resorts’ hotels. Use our hotels guide to understand how to book a bargain. Two good starting points for your cheap hotel search are TriVaGo and Hotels.com. You can usually find good prices at Expedia too. A three-bed detached house with swimming pool close to Orlando can be found for around £800 a week. If you’re a large family or travelling with others – or if you just like the idea of your own pool and privacy – that could be an attractive price. America’s big site for vacation rentals is VRBO – see what you can find. For a detailed guide, check out our packed article on holiday rentals. 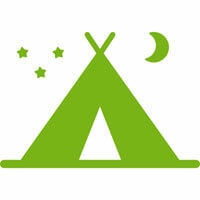 For something completely different, you could even choose a tent or motorhome as your Florida holiday home. Disney has Fort Wilderness which promises to evoke “the timeless beauty of the American frontier, with deer, rabbits, ducks and armadillos roaming the Resort’s 750 acres of pine and cypress forest.” Florida State Parks has a list of campsites. Many package holidays come with car hire included, and the flydrive is synonymous with Florida. However if you find yourself needing to book your own hire car (or motorhome) make sure you read our car hire guide first. Because, from excess insurance to fuel policies, there are a lot of extra costs to watch out for. Want to get an idea now? Skyscanner is a great tool for comparing car hire prices. You may be approached in Florida by timeshare salespeople offering you a free giftcard or free theme park tickets in return for watching their company’s presentation. Unless you have hours of your holiday to spare and an iron will – or unless you are genuinely interested in a timeshare – say no. Because these presentations are an EXTREMELY hard sell. You will not be allowed to leave the pitch with your free tickets UNTIL they have tried every tactic to sign you up. Once you’ve booked your theme park tickets you’ll need to plan your resort strategy – where are you going to go first, what will you eat, what do you need to take and how will you get around? There are whole books written about making the most of Disney World, but a good place for advice is The Dibb, a website devoted to Florida’s theme parks and aimed at British visitors. Buy a refillable mug when you arrive and use it to stay topped up with free water that is available around the resort. Food is a serious business in America. There will be so many options for you wherever you decide to visit. Look out for ‘kids eat free’ offers and try and plan your meals if you don’t want to pile further expenses onto your holiday bill. For Disney, the Disney Food Blog has 56 tips and everything you’d ever want to know about the restaurants available. Universal Orlando has 50 restaurants and many of them fun-themed like the Monsters cafe. You can have ‘character meals’ with the likes of Woody Woodpecker and the Cat In The Hat. SeaWorld’s All Day Dining Deal is a popular inclusive package which allows you to eat at selected restaurants once every hour! By mid-morning the parks fill up, so try to reach them at opening time if you want to make the most of shorter queues and less bustle. If you can tick off some of your target rides early you’ll get more value from your day and spend less time waiting around. This is another reason to buy tickets in advance: you’ll skip ticket window queues. Remember to factor in transfer times around the parks. Disney has a monorail, Universal Orlando has the Hogwarts Express! 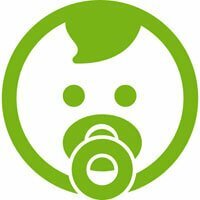 If you’re taking a baby into the parks, make sure you know where the nearest baby facilities are. Disney have a peaceful and private room for breastfeeding and changing, with bottle and food warmers and baby supplies for sale. Disney has a clever system called Rider Switch on many popular rides. If one child doesn’t want to go on a ride – but everyone else does – an adult in the group can request a Rider Switch Pass as they reach the end of the queue. They will then be directed to a wait area and, once the rest of the family has finished the ride, the adult can hop and enjoy theirs without queuing all over again. If you are staying at one of the Disney resort hotels – check out its best family hotels – you can access the parks in the evening. A trip to the Magic Kingdom at night is dreamy. Not only have all the non-residential visitors left, but you can ride until 11 pm and watch the spectacular fireworks under moonlight. Check event dates as the fireworks do not happen every night of the week. Choose clothes according to the weather, but it’s advisable to go for things that are loose and comfortable. Remember towels if you’re going swimming. Your backpack should include suncream, a rain poncho for sudden showers (buy a cheap one before you go) and any snacks you want to take (just tell security at the gate you have them). In case you lose your tickets, make sure you take a note of their serial numbers – take some photos of them and keep email receipts on your phone. It’s straightforward replacing them if you’re already staying on the resort, but if you are staying outside you’ll need to visit guest services and show them your documentation. You’ll the best dollar exchange rates online. Never buy from the airport where rates are the worst. Use a service like Travelex and you can get currency delivered to your door in advance. Or if you prefer you can buy online and then collect it from the airport. To fly into the US as a tourist you need to make sure you complete an ESTA form at least three days before you travel. You will not be allowed in without it. The ESTA details your flight information, the place you are staying on arrival and the reason for your visit. It can be completed online and costs $14. Various websites offer US visa services and ESTA advice. If you are taking a straightforward holiday to the USA, you don’t need them. Avoid their big fees. We’ve focussed on theme parks in this guide – I hope you’ve found everything you need to know. If you’ve got questions about everything else Florida has to offer, I recommend the Brit Guide to Orlando 2017 – get a copy on Amazon. Make sure you’re following us on Facebook for any Florida deals that pop up. Have a wonderful holiday!